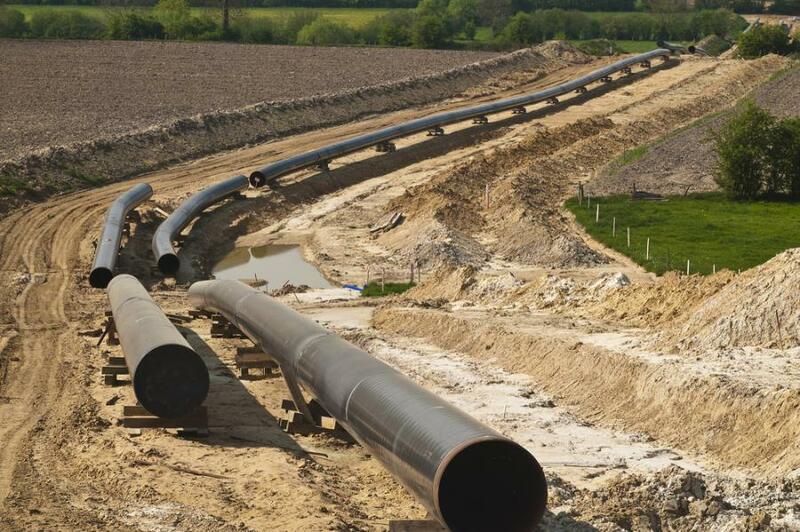 The Midship Pipeline Project received final Notice to Proceed from the Federal Energy Regulatory Commission in February 2019 and is expected to be placed in service by the end of 2019. Cheniere Energy Inc. and funds and accounts managed by EIG Global Energy Partners announced March 1 that Midship Pipeline Company LLC has issued Notice to Proceed to Strike LLC, M.G. Dyess Inc., TRC Pipeline Services LLC and Cenergy LLC to construct the Midship natural gas pipeline and related compression and interconnect facilities. The Midship Project received final Notice to Proceed from the Federal Energy Regulatory Commission in February 2019 and is expected to be placed in service by the end of 2019. Midship Pipeline is indirectly and jointly owned by Cheniere and EIG. To complete financing of the Midship Project, Midship Pipeline entered into senior secured credit facilities with total commitments of up to approximately $680 million. The credit facilities consist of an approximate $615 million construction loan facility and a $65 million revolving credit facility. Proceeds from these credit facilities will be used to fund a portion of the costs of developing, constructing, and placing into service the Midship Project, to fund working capital requirements, and for related general corporate purposes. The Midship Project is being developed to create pipeline capacity of up to 1.44 million Dekatherms per day of firm transportation to connect production from the emerging STACK and SCOOP resource plays in the Anadarko Basin in Oklahoma to growing Gulf Coast and Southeast markets. The Midship Project is expected to consist of approximately 200 mi. of 36-in. diameter new mainline pipeline, several laterals, compressor stations and interconnects that will provide receipts from STACK and SCOOP processing plants and provide deliveries to Bennington, Okla., as well as access to downstream markets including the TexOk hub near Atlanta, Texas, and the Perryville Hub near Tallulah, La. Midship Pipeline has secured commitments from subsidiaries and/or affiliates of Cheniere, Devon Energy Corporation, Marathon Oil Corporation and Gulfport Energy Corporation. For more information, visit www.cheniere.com and eigpartners.com.